Building on the discussions during the past few years, which dealt with various performances of Samuel Beckett produced in different cultures and locations, the working group will continue to address how we can bridge productions of Beckett’s theatre in the past to the present, and how we can situate the staging of Beckett’s work in different cultural contexts. 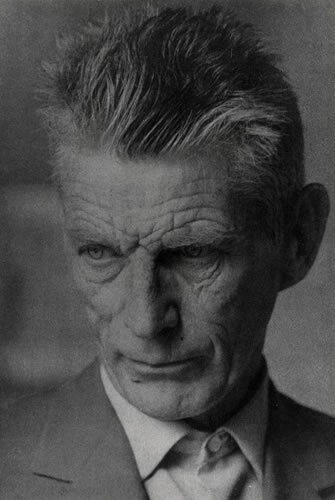 In other words, we are interested in the question as to how we can historicise the legacies of productions of Beckett’s theatre, including adaptations of his text. We are interested in hearing from both academics and practitioners who are interested in the theme. We are also exploring the possibility of setting up a general session open to all conference participants. If you think your proposal might be appropriate for it, please note that in your application. We welcome both current and new members, from graduate students to senior scholars, to submit proposals or to participate as discussants. Abstracts should be 250-300 words in English and are due no later than 31 January 2016. Please note that for those members who wish to be considered for an IFTR bursary, the deadline is 1 December 2015. Abstracts should be submitted through the IFTR’s online system, managed by Cambridge Journals. Details will shortly be posted on the IFTR website (http://www.firt-iftr.org/ ). The accepted abstracts will be published in the Congress’s Abstracts Book. Papers (length 5,000 words) to be presented at the SBWG are distributed and read by all the participants (and auditors as well, if they let us know their presence) a month ahead of the meeting. At the SBWG session, presenters give short resumes of their work (10-15 minutes), followed by a lengthy discussion period (each presenter has 30-45 minutes in all). This is an extremely effective method, which allows ideas to be discussed, debated and evaluated, with participants suggesting directions for presenters’ works-in-progress. After the submission of your abstracts and proposals, those who are accepted as participants will receive a notice from the IFTR to enrol. The convenors of the SBWG (Linda Ben-Zvi and Mariko Hori Tanaka) and the secretary (Anna Sigg) will contact participants with regard to the distribution of papers and the details of the SBWG sessions, etc. If you have any questions, please contact Mariko Hori Tanaka (junsetsuan@orange.plala.or.jp).